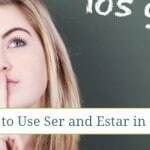 In the U.S., Spanish is the second most-spoken language, right after English. We live in Georgia, and I’ve seen entire neighborhoods slowly change from majority English-speaking to entirely Spanish-speaking. Naturally, we’re teaching our kids basic Spanish. I’ve been taking it in college myself, and we’re eager to help the kids pick it up while their brains are primed to learn! 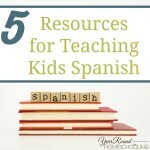 A simple way to begin Spanish with kids is by using flashcards. There are also structured language programs for children. I’ve used some and I’ve liked several of the ones I’ve tried. But I’ve also found that simple flashcards seem to get them interested without adding much pressure. 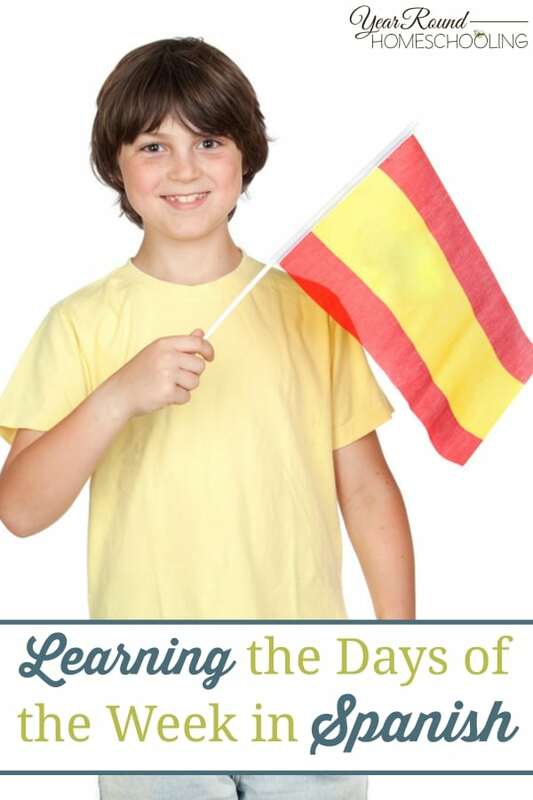 Included in this post is a free set of flashcards for teaching los días de la semana (the days of the week)! 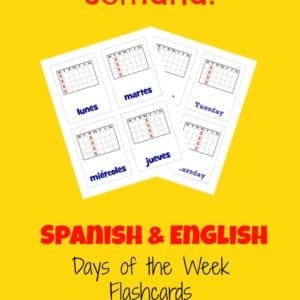 What’s In the Spanish Days of the Week Flashcards Pack? 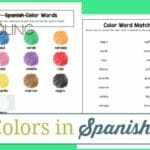 In this pack, you’ll find flashcards for the days of the week in both English and Spanish, as well as a blank set for quizzes and a pronunciation key to help your kids learn how to say the words correctly. If you like, you might want to print two sets of cards so that you can have your kids match them up, play concentration, or quiz each other! As you look through the pack, you might notice that the days of the week in Spanish are not capitalized. That is not an error. In Spanish, the days of the week and the months of the year are written in all lowercase letters! Follow our Pinterest board below to discover more ways to teach foreign languages in your homeschool. 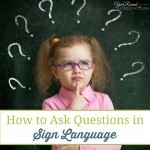 Follow Misty Leask’s board Homeschool: Foreign Languages on Pinterest. I was really excited about these flashcards – until I saw that the calendars begin with Monday. Would you consider creating a set that shows a Sun-Sat week? Thank you! Hi Jessica, At this time I am not planning to create a new set of weekly Spanish flashcards. The week in Spanish speaking countries does actually start on a Monday. If you look at a calendar in and Latin-American country you will see that it begins on a Monday. The cards are culturally correct and I have taught this to my students so that they understand not only the language difference but the cultural difference as well! Thanks!